Yesterday I took my daughter and her friend with me and we went to a workshop! 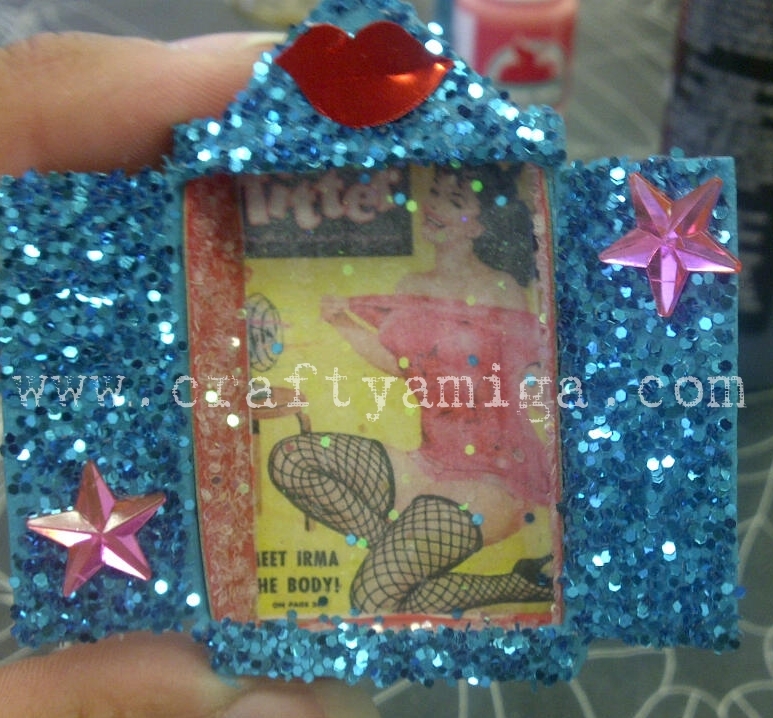 We made Matchbox Shrine Magnets at Chica Femme Crafts Studio in Irwindale, Ca. I had been wanting to make some of these magnets for a while now. It was a fun day and well worth the drive! I look forward to taking more of Violet's workshops. Turned out SO BEAUTIFUL! Love the blue glitter! I love this and love the glitter. keep up the great work very cute.